Will she like it? Will she wear it? Or will she ask if you kept the receipt? We know buying jewelry can be difficult and so we’ve made it our mission to make it easy. We do so by offering incredible stones and designs at affordable prices. Sometimes that means offering cutting- edge fashions, and sometimes that means offering classic designs that will never go out of style. The Classique Bracelet is the latter. 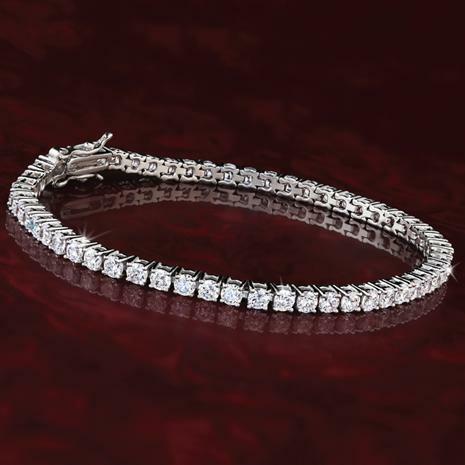 The tried and tested look of dazzling stones draped around a wrist. The simple but elegant air of the Classique comes from the 55 DiamondAura® stones, each of which reveals its fiery brilliance as it catches the light. Every single stone has superior clarity to a mined diamond and at a fraction of the cost. 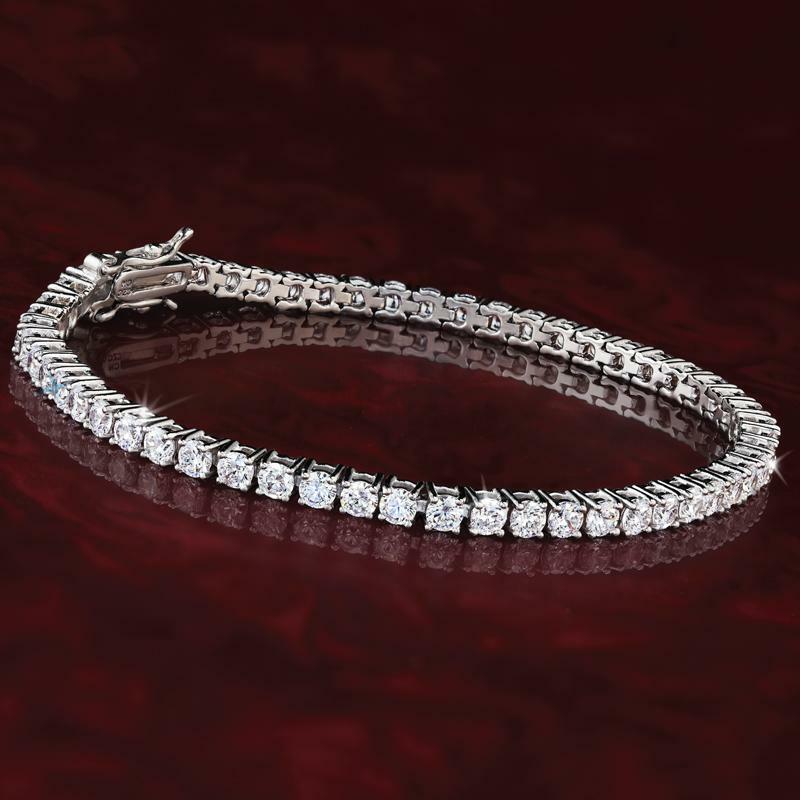 With a total weight of 11 1/4 carats, set in .925 sterling silver, this tennis bracelet serves up a luxurious look she’ll love and for a price that just can’t be beat. Add the stud earrings, and you are guaranteed a win.